Please note that there is no wifi at Camp Burton. Click the link above to download the full weekend schedule. We recommend aiming for the 2:45 p.m. ferry from Fauntleroy to Vashon on Friday, and we anticipate you should be able to make it onto either the 12:45 or 1:15 p.m. ferry on Sunday afternoon. For more information about fares and schedules, see the Washington State Ferries site. While this is not a binding decision, we will be assigning locations of each of the speaker sessions on the Camp Burton grounds based on anticipated class size. If you let us know ahead of time which classes you know for sure you want to be at, we can make sure you get priority if there is limited space. See full class descriptions here. We ask that each camper starts a stream of consciousness journal for the next few weeks. The point of this exercise is to release those things in your mind that could be troubling you and/or getting in your way. It can often result in finding more inspiration in your work and life! As a bonus, there are theories that say it can help increase your memory and vocabulary so yeah, why not try it out?? We do recommend you do this in some kind of habitual way that works for you. Some of you may decide that you are going to journal 5 times a week, during your work week, as soon as you wake up. Others may do it before dinner in the bathtub or with a glass of wine. The choice is yours but we do suggest making it a routine of sorts for the next few weeks. Who knows, you will probably love it and may decide to carry on this tradition after you are done with camp! THERE ARE NO RULES ON WRITING. You might start with what you did that day or what you plan to do the next day. Most likely your writing will begin to change as you continue your practice. Many people get hung up by journaling because they reread what they write and think it sounds stupid (I do that~kristen) but the best part of this is you are actually encouraged NOT to reread these! In fact, since we’ll be burning them, your secrets, insecurities, frustrations, book reviews, are safe with you and the universe. We can’t wait to let these burn! 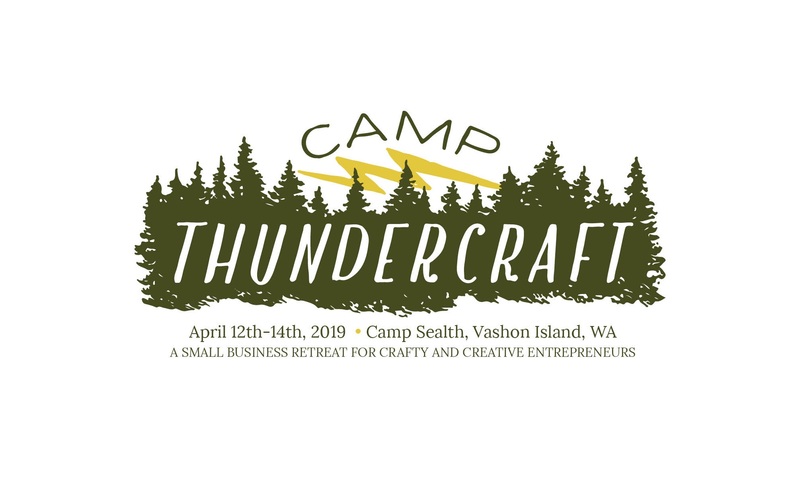 Camp ThunderCraft wouldn’t be nearly as awesome without our generous sponsors! All these wonderful businesses are helping out in some way to make sure the weekend is super fantastic.